Michael Kors now has shoes to complement its handbags. Michael Kors Holding on Tuesday announced that it agreed to purchase Jimmy Choo the shoe maker in a deal worth £896 or approximately $1.2 billion. This is the most recent push by a luxury company based in the U.S. to find revenue growth in a retail landscape that is becoming increasingly more competitive. Many of the upscale retailers are battling against plunging sales and weak profits. Traffic in malls across the U.S. has dropped sharply, and stores have taken to deep discounting that has some luxury labels losing their luster with their core customers. Shoppers who traditionally have been loyal at the middle market have moved toward the brands at extremes for style, spectrum and price. That has helped the giants of e-commerce such as Amazon, luxury houses such as Gucci and fast-fashion lines like Zara and H&M. That has also left companies such as Michael Kors, once far ahead of the rest for accessible luxury market, highly exposed. Michael Kors is known for its competitive prices for fashion forward designs, and has been hit hard in particular after going through a rapid expansion effort. During May, it lowered its forecast for sales for the remainder of this year, and said it was closing up to 125 of its full-price stores. Since 2017, the share price of Michael Kors has lost over 20% of its value. 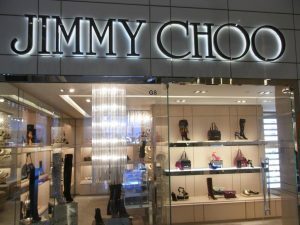 The deal to acquire Jimmy Choo may give the company a new avenue to grow. Michael Kors relies heavily on the department stores and outlets that have been hit hard by the changing habit of consumers when it comes to shopping, which means often times its products have been discounted heavily. However, Jimmy Choo is found in a higher bracket price wise than Michael Kors and attracts a whole different type of customer, bringing large profit margins and an aura of an upmarket brand. Tamara Mellon and Jimmy Choo the Malaysian cobbler founded the shoemaker in 1996. At the time, Mellon was the British Vogue accessories editor. The company skyrocketed to fame after a number of celebrity patrons put it into the spotlight included Princess Diana and Sarah Jessica Parker, who embraced its sky-high signature stilettos and its vampish aesthetic for which it became known. Following three private equity owners, it went public in 2014 as the first luxury footwear brand to do so. Prices of its shoes range from $425 to $1,795, with handbags going for $700.